Which Cruise Lines Are On Verge Of Greenlighting Newbuilds? New ship orders have slowed in recent years, but a cruise industry analyst says at least two companies could finalize plans for newbuilds soon. Robin Farley of UBS Investment Research says new ship announcements are expected this year from Royal Caribbean Cruises Ltd. and MSC Cruises. RCCL has an option for a fourth Oasis-class order for mid-2018 delivery for Royal Caribbean International, Farley wrote in a research note. The company will have to decide whether to exercise that option before the Quantum of the Seas is delivered this fall. RCCL has already ordered a third 5,400-berth Oasis-class newbuild for mid-2016 delivery from the STX France shipyard. RCCL previously decided not to exercise an option for 2017 delivery of a Quantum- or Reflection-class ship, Farley reported. Meanwhile, Farley said she believes MSC Cruises “could be close to ordering two vessels with an option for two additional newbuilds, with a first delivery in 2016. This marks a renewed push into the North American market, as we believe the new hardware could be targeted at North American cruise passengers. 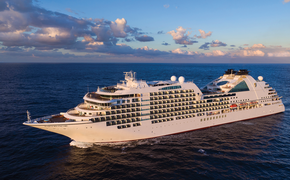 STX France and Fincantieri in Italy might be competing for the orders, and we note STX France has traditionally had a relationship with MSC.” The newbuilds could be in the 4,200-berth, 160,000 to 170,000-ton range, she speculated. MSC Cruises USA itself just announced on March 7 that it plans to double the size of its sales staff. 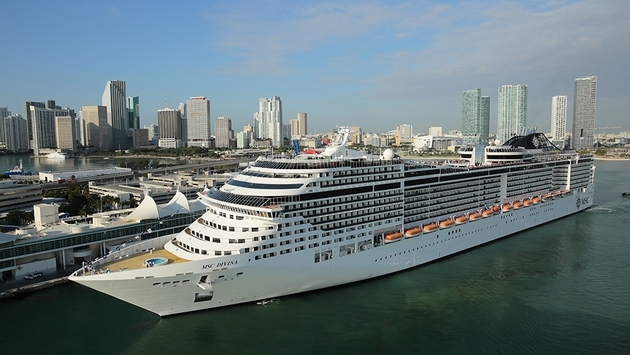 In our article, President and CEO Richard Sasso hinted that the line is gearing up for more capacity in North America now that the MSC Divina is based in Miami year-round. Farley also wonders if Carnival Corp. is looking at common ship platforms that could be built out to suit several of its brands, such as Princess, Carnival or Costa. “The cost-saving result is that Carnival could put in a two-ship order at a yard and be able to use the two ships for two different brands, and the flexibility for other brands would extend to follow-on options as well,” Farley wrote. If Carnival doesn’t place an order in the first half of 2014, delivery would likely be in early 2018.